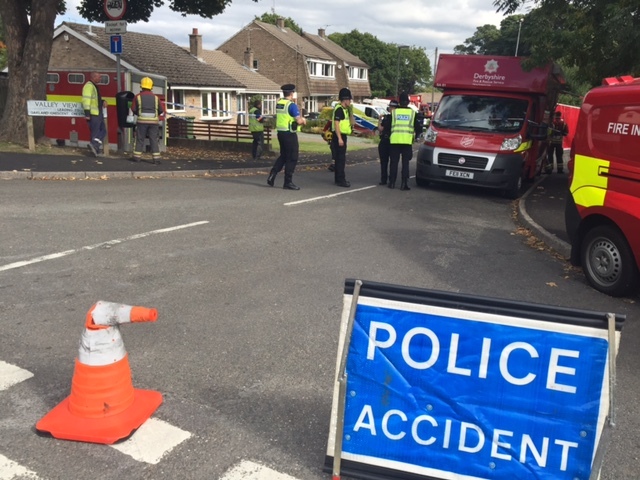 Police have confirmed a woman found dead after an explosion in Derbyshire, died from stab wounds. Officers believe Shelley Saxton-Cooper was murdered at the home in Riddings after tests revealed she had suffered knife injuries before the explosion. Her husband Simon died from smoke inhalation. "A Home Office pathologist carried out post mortem examinations on their bodies and determined that Shelley died as a result of stab wounds and Simon died from smoke inhalation. "The cause of the fire is not yet known and the police and fire service are conducting an ongoing investigation. "A report is being compiled for HM Coroner who will hold an inquest into the deaths at a future date." Meanwhile, tributes have been left to a couple at the scene. Flowers have been laid and messages left, one reads "our hearts are broken". "We believe that Shelley, who was 45-years-old, was wounded before the explosion and fire and we are treating her death as murder. "We're still unable to say how either she or her husband died as post mortem examinations haven't been completed. "Police, crime scene investigators and fire investigation specialists are working through the scene of the fire to find out exactly how it started and what happened.